If you been dreaming about joining a franchise for a while now, but never sure when is the right time or which franchise is the best for your needs, now is the time to seize the moment. Zac’s Burgers is growing by leaps and bounds and their brand recognition is spreading earning them larger numbers of loyal customers. Zac’s is looking to expand their family by welcoming new franchisees, particularly those interested in being at the helm of a Zac’s Burger Bus. The new burger bus in Chester County is doing phenomenal, hitting record sales. The Zac’s family offers a lot of support to its burger bus operators to help them pick up speed really quickly so they are running efficiently from the start. New Burger Bus Coming to Montgomery County Summer 2018. 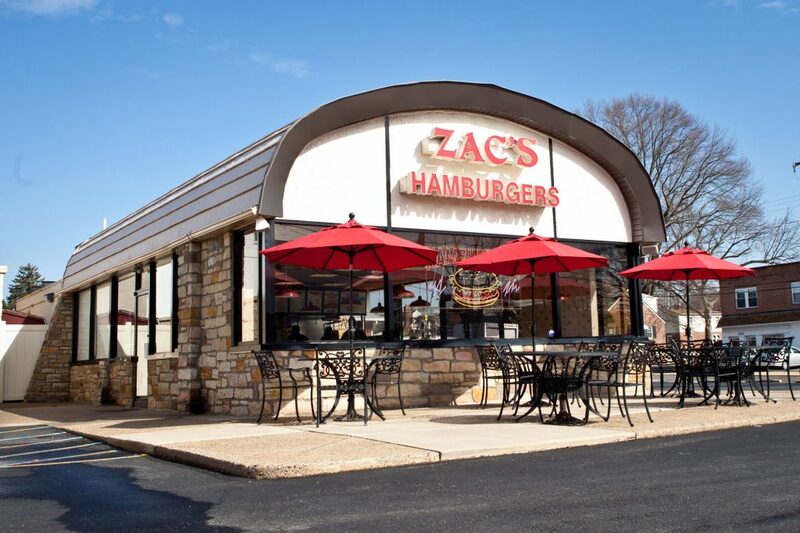 Did you know that Montgomery County getting it’s Own Zac’s Burger Bus in Summer 2018? Food trucks are still very popular today so it is the perfect time to put your stamp on the local Philadelphia area. The best thing about choosing Zac’s Burgers as your fast food franchise to invest in is that there are so many different options available depending on what you look for. You can choose between either a brick and mortar Zac’s Burgers franchise unit or franchising a Zac’s Burger Bus. Which one you should use, really comes down to what you like most as a business owner. With a brick and mortar building you have the stability of a permanent location. If you prefer more variety and like the idea of taking your menu to customers all over the place, then you might want to choose a burger bus. Financial considerations will also play a role. Food truck buses generally tend to be a little easier to afford if you are new to the franchise business. Who Doesn’t Love a Burger? Even with more attention being paid to healthier living, there will always be a need for fast food. We all crave that burger and fries at some point, whether it is for a family treat on a Friday night or for a quick lunch during the work week. The burger franchise is an area that will never be oversaturated. One of the biggest incentives of choosing to invest in a burger franchise is that you will have a support structure to help you get started. This is something you don’t have when you are opening a restaurant on your own. With a fast food franchise, the franchisor offers you training for you and your staff and will help you find your location and prepare for your grand opening. If you are new to the restaurant business, this is especially attractive. What is probably one of the least known benefits of investing in a fast food franchise is your ability to do good. As a local business owner, you now have the resources to get involved in the community around you and help out in different ways, whether donating food for charity events or hosting community events at your restaurant. It feels good to do good and there is a lot you can do as a fast food franchise owner. And the best part is the Zac’s encourages this. They already do a lot with the local veteran community. When you pick the right franchise program like Zac’s, one that really cares about its franchisees and treats them like family than it will be just like you welcomed new family members into the fold. You will love the rich, meaningful relationships you will form at your franchise and in the franchise industry in general with people who share your passions. Are you sold yet? Of course having enough money to open and run a successful fast food franchise also needs to be a practical consideration. Startup costs for fast food franchises can vary from $10,000 to a couple of millions so you need to really save up seriously. Don’t jump into it until you have enough money to not only open strong, but to stay afloat while you start to build your customer base. Remember that Rome was not built in a day. Know exactly how much you need to save. Even if your saving is slow-going at first, chipping away at your goal will help keep you positive throughout the process. Switch to a bank with a better incentives. Higher interest rates on your savings account, no ATM or overdraft fees are all small ways to save more money. It might not seem like a lot at first, but you will be surprised by how much money can be frittered away with bank fees. Be a part of the growing success of Zac’s Burgers! Come join us. Call Zac’s Burgers today for more information about burger franchise opportunities.